Commentary in 1080p high definition. 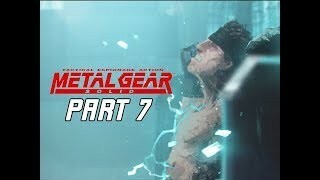 This METAL GEAR SOLID walkthrough will be completed showcasing every level, mission, boss, and story ending. The year is 2005, six years after the downfall of Zanzibarland. A renegade genetically-enhanced special forces unit, FOXHOUND, has seized a remote island in Alaska’s Fox Archipelago codenamed “Shadow Moses”, the site of a nuclear weapons disposal facility. FOXHOUND threatens to use the nuclear-capable mecha, Metal Gear REX, against the U.S. government if they do not receive the remains of Big Boss and the ransom of $1 billion within 24 hours. Solid Snake is forced out of retirement by Colonel Roy Campbell to infiltrate the island and neutralize the threat.